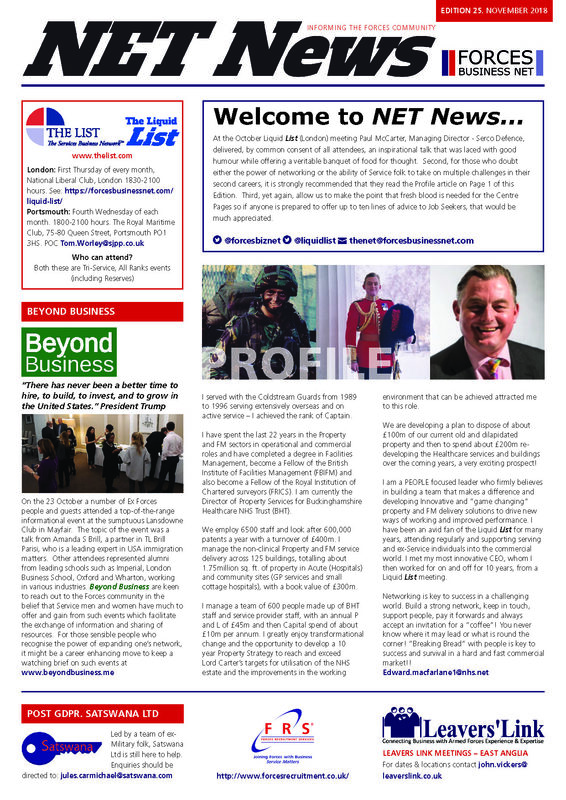 NET News aims to offer another avenue that connects Ex Forces Job Seekers to their predecessors. Space dictates that any article should not exceed 750 words. 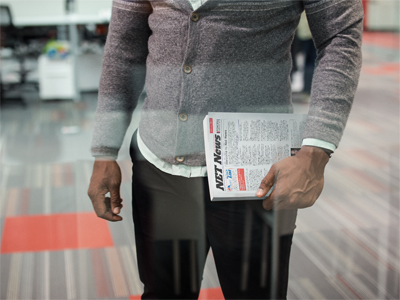 The Centre Pages are the kernel of the product and need to be rotated in order to maintain interest by covering as many functional areas as possible that may be of interest to Service Leavers’ second career choices. Inputs should not exceed 10 lines. Both articles and Centre Pages should ideally be accompanied by a Company Logo. It is requested that all logos are submitted as a high resolution attachment to an E-Mail. For as long as space allows any Services-related charity may have their Logo displayed on Page 4 of NET News free of charge. The cost of sponsoring an Edition is £250 for which Page 1 will be dedicated to the sponsor less the permanent elements of The Liquid List and the Editorial and one 1/8th of a page advertisement. The sponsor will also be recognised in the Editorial.